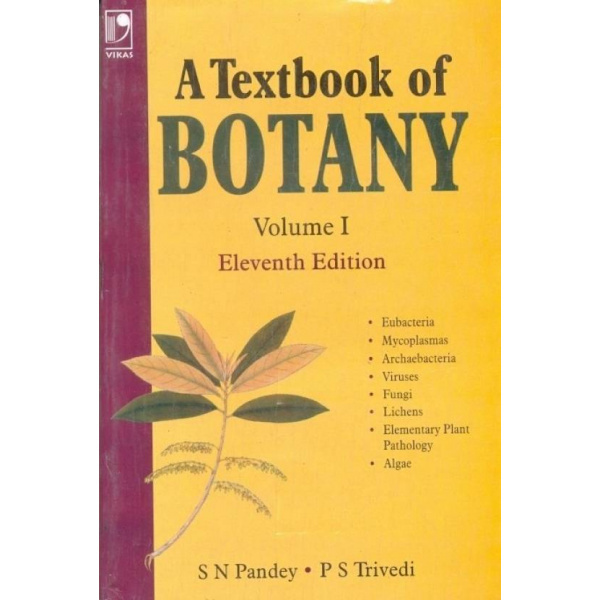 A TEXTBOOK OF BOTANY VOL-2 - 12TH EDITION By Pandey S.N. 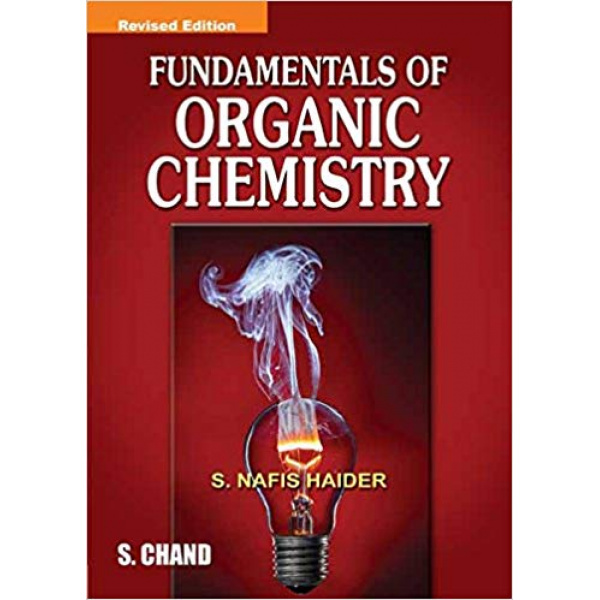 FUNDAMENTAL OF ORGANIC CHEMISTRY By Haider S.N. 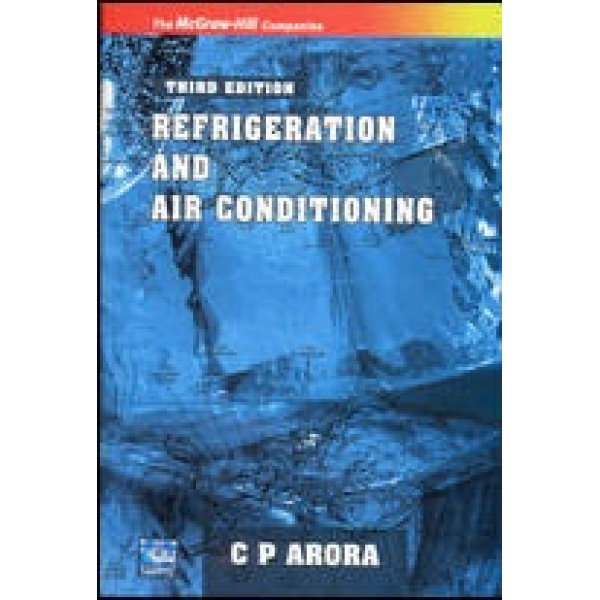 Refrigeration and Air Condition by Arora C.P. 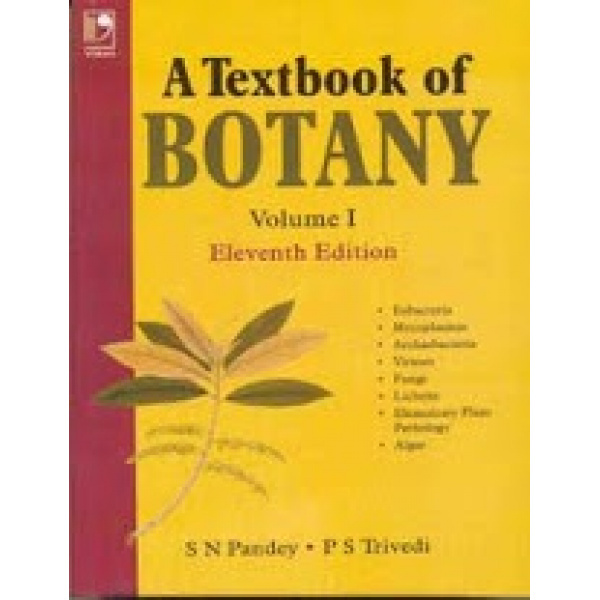 TEXTBOOK OF BOTANY VOL. 1 - 11TH EDITION by Pandey S.N. TEXTBOOK OF BOTANY VOL. 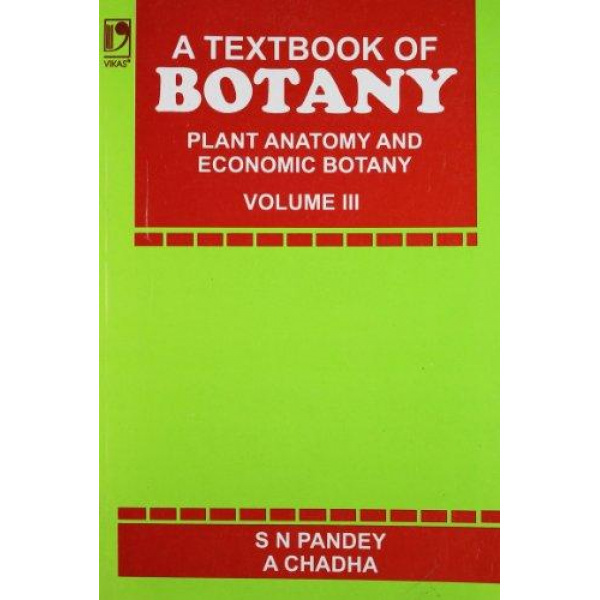 III - PLANT ANATOMY AND ECONOMIC BOTANY By Pandey S.N. 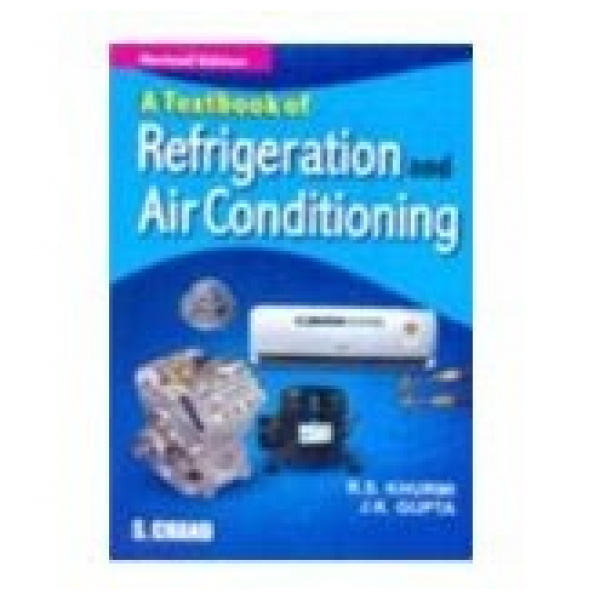 TEXTBOOK OF REFRIGERATION & AIR-CONDITIONING By Khurmi R.S. A Textbook of Botany Volume II has been thoroughly revised and expanded to provide an up-to-date information for the study of Bryophtya, Pteridophyta, Gymnosperms and Palaeobotany, incorporating the UGC Model Curriculum, keeping in mind the subject break up followed at leading universities. The book is primarily intended as a text for undergraduate courses, though the text is relevant for postgraduate students also. New to this Edition: Part I (Bryophyta) has been updated and written in a monographic style describing recent classification and including most of the Indian genera that are prescribed in various universities at different levels. Special attention has been made to account for their phylogeny and relationship. Parameters of general discussion have been so elaborated as to enhance the coverage of the subject including experimental studies. Part II (Pteridophyta) introduces a comprehensive but necessarily superficial survey of wide field in Pteridophyta, both living and extinct, proceeding from simple to complex. Classification of Pteridophyta has been updated and expanded. Some new topics are: Transition from an aquatic to terrestrial mode of life; ecology, diversity, economic importance and geographical distribution of Pteridophytes. Part III (Gymnosperms) has been thoroughly revised and updated. In chapter General Discussion, the topic “Economic Importance of Gymnosperms has been expanded in the light of latest information on the subject. Part IV (Palaeobotany) has been considerably modified and enlarged, and has been infused with modern approach of geological time scale. 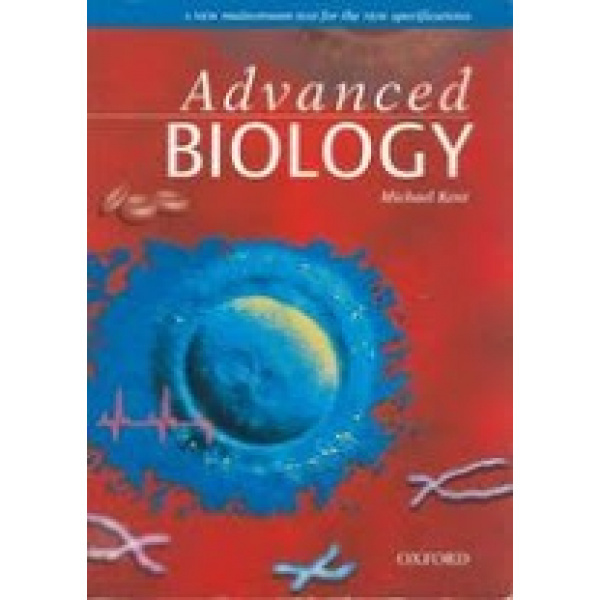 Written by an experienced author and teacher of students with a wide range of abilities, "Advanced Biology" will spark interest and motivate A-Level students. Questions are presented in two styles, 'Quick Check' and 'Food for Thought', to give opportunities to practise both recall and analytical skills. 'Fact of Life' boxes on spreads also encourage discovery by providing interesting and thought-provoking aspects of biology. Key points are: important terms are highlighted; full colour illustrations; and graduated questions to practise recall and analytical skills. 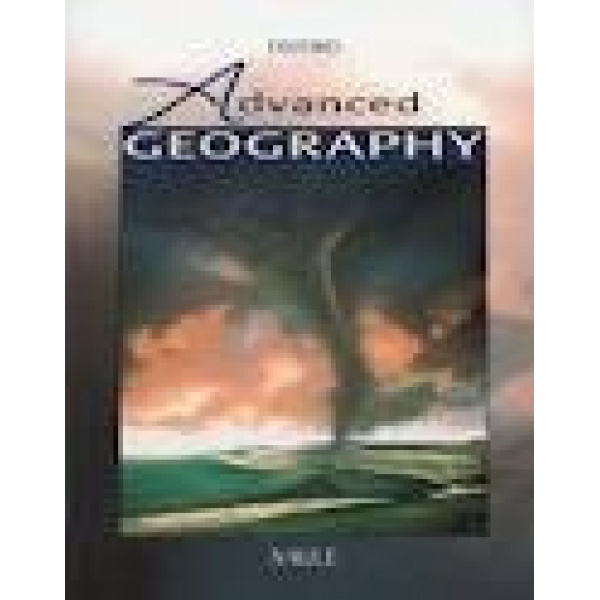 Designed to meet the demands of A-Level specifications (both AS and A2), Advanced Geography provides authoritative coverage of course requirements in a convenient and cost-effective single volume. Award-winning author and experienced geography teacher Garrett Nagle provides a thorough and detailed treatment of topics through a variety of features. 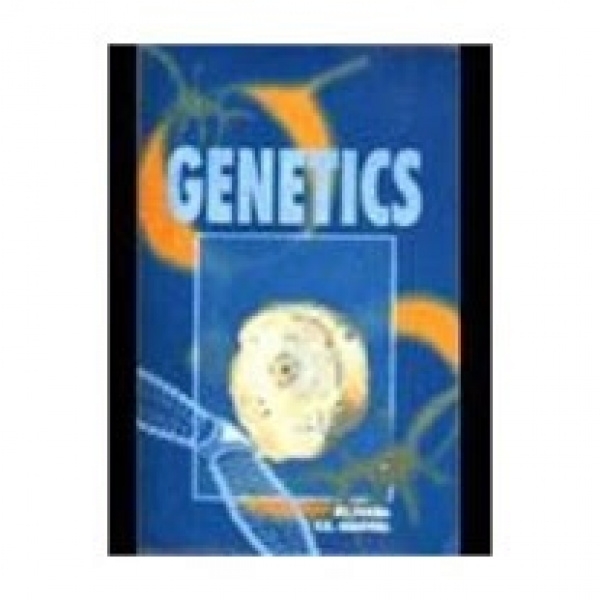 This was the first book on the subject to be adopted by the National Book Trust of India (NBT). This text is especially written with these students in mind. The language is simple, explanations clear, and presentation very systematic. Concepts that usually confuse the students are explained in a step-by-step manner. Our commitment to quality is total! Physical chemistry is the branch of chemistry that establishes and develops the principles of the subject and organizes them into laws, theories, hypotheses and models. Its concepts are used to explain and interpret observations on the physical and chemical properties of matter. One of the most important term in physical chemistry is “chemical substance”. Chemical amounts,n, are expressed in moles of specified entities. We distinguishtwo kinds of properties:intensive and extensive.Intensive property is a property that is independent of the amount of substance in the sample like pressure,temperature or density.Extensive property is a property that depends on the amount of substance.Mass,volume and energy are examples of extensive properties. Ozone depletion, greenhouse effect, alternate environment-friendly refrigerants such as Tetrafluoroethane, Propane, Isobutane,and associated lubricants. Thermodynamic tables of select alternate refrigerants. At a time when U.S. high school students are producing low scores in mathematics and science on international examinations, a thorough grounding in physical chemistry should not be considered optional for science undergraduates. 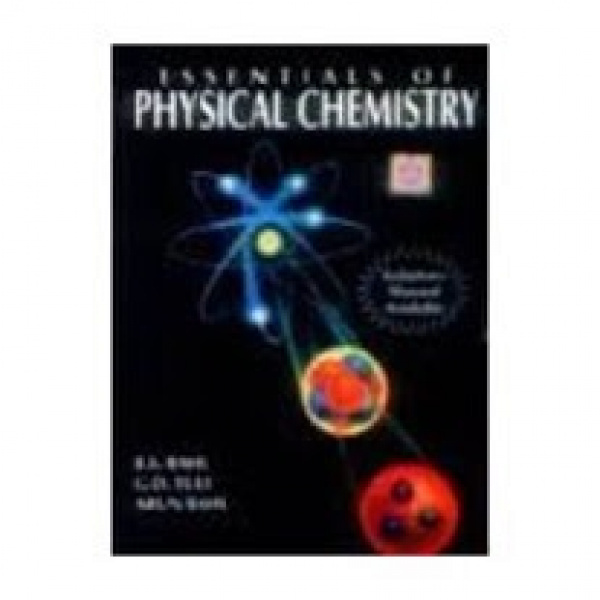 Based on the author’s thirty years of teaching,Essentials of Physical Chemistry merges coverage of calculus with chemistry and molecular physics in a friendly yet thorough manner. 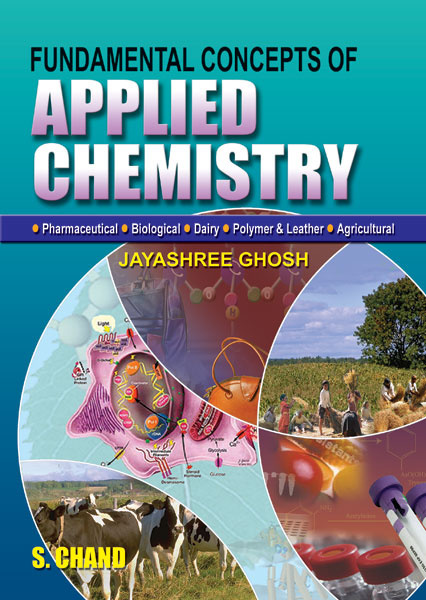 Reflecting the latest ACS guidelines, the book can be used as a one or two semester course, and includes special topics suitable for senior projects. The book begins with a math and physics review to ensure all students start on the same level, and then discusses the basics of thermodynamics and kinetics with mathematics tuned to a level that stretches students’ abilities. It then provides material for an optional second semester course that shows students how to apply their enhanced mathematical skills in a brief historical development of the quantum mechanics of molecules. Emphasizing spectroscopy, the text is built on a foundation of quantum chemistry and more mathematical detail and examples. It contains sample classroom-tested exams to gauge how well students know how to use relevant formulas and to display successful understanding of key concepts. The Study Guide/Solutions Manual contains answers to all problems in the text. This indispensable tool helps students develop solid problem- solving strategies required for organic chemistry. 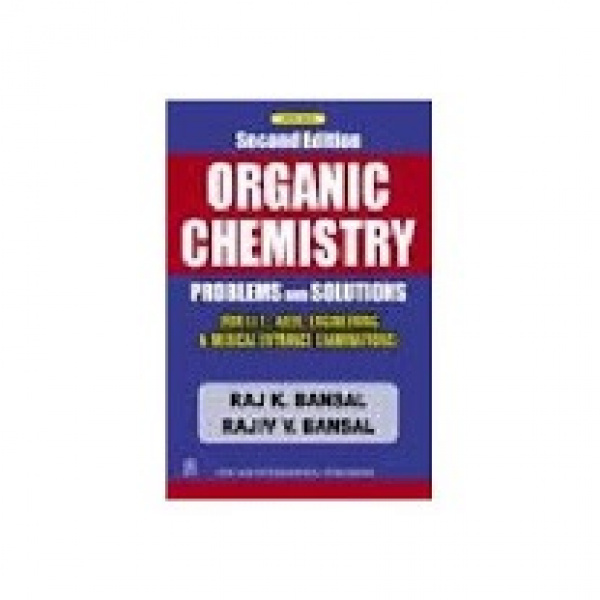 Students will find definitions of important terms and related problems on synthesis and reaction mechanism. 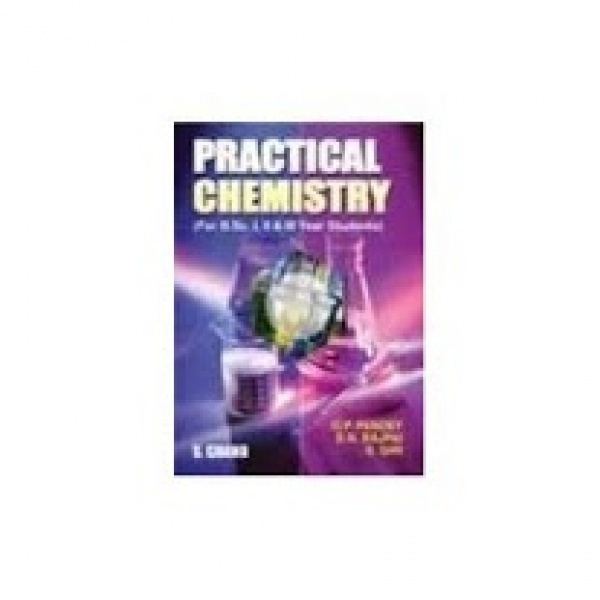 Multiple choice questions and problems on lettered compounds have been added in every chapter. It is an indispensable book for students up to the graduate level and for those intending to appear for I.I.T., A.I.E.E.E. and other engineering and medical entrance examinations. 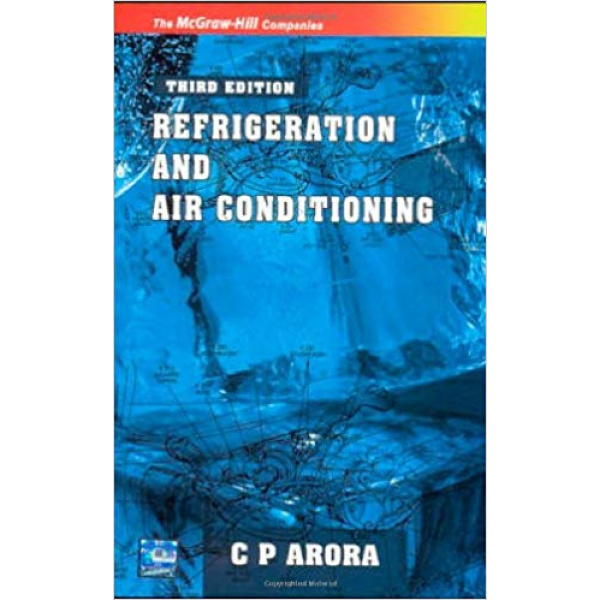 This textbook offers a comprehensive and wide-ranging introduction to theoretical principles and practical aspects of refrigeration and air conditioning systems. Written by an outstanding teacher with 30 years of distinguished career at the Indian Institute of Technology Kharagpur, this work created by late Dr. R.C. Arora (1945–2005) is intended to lead students to a deeper understanding and a firm grasp of the basic principles of this fast-growing and exciting subject area. 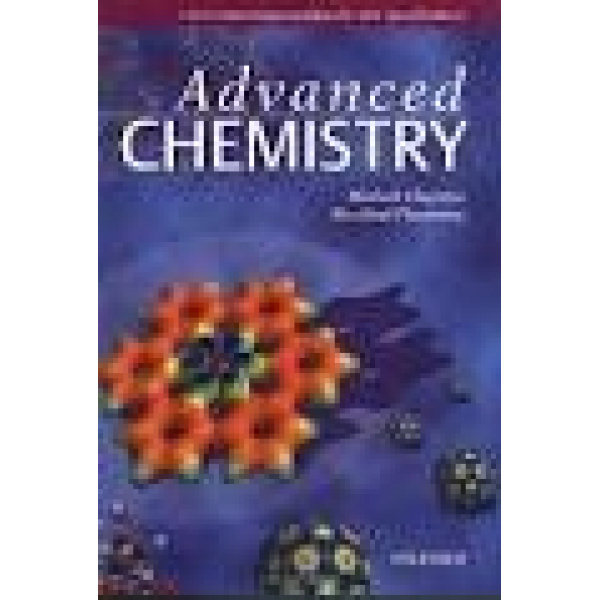 This text is ideally suited for undergraduate education in mechanical engineering programmes and specialized postgraduate education in thermosciences. The book is designed to typically appeal to those who like a more rigorous presentation. The text begins by reviewing, in a simple and precise manner, the physical principles of three pillars of Refrigeration and Air Conditioning, namely thermodynamics, heat transfer, and fluid mechanics. Following an overview of the history of refrigeration, subsequent chapters provide exhaustive coverage of the principles, applications and design of several types of refrigeration systems and their associated components such as compressors, condensers, evaporators, and expansion devices. Refrigerants too, are studied elaboratively in an exclusive chapter. The second part of the book, beginning with the historical background of air conditioning in Chapter 15, discusses the subject of psychrometrics being at the heart of understanding the design and implementation of air conditioning processes and systems, which are subsequently dealt with in Chapters 16 to 23. It also explains the design practices followed for cooling and heating load calculations. Each chapter contains several worked-out examples that clarify the material discussed and illustrate the use of basic principles in engineering applications. 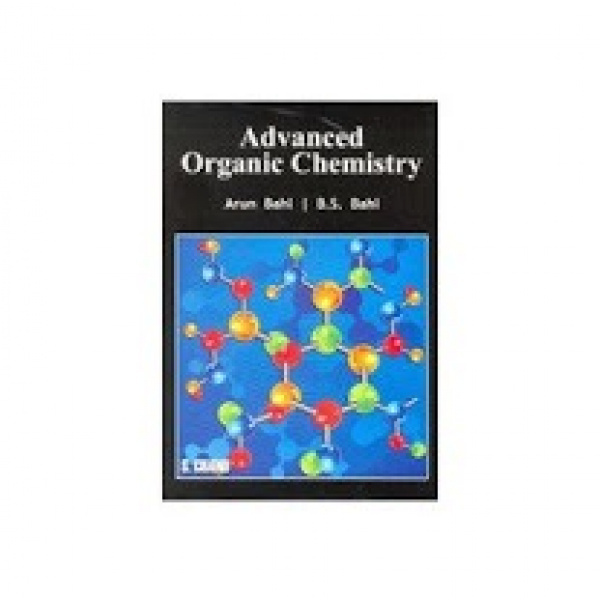 Each chapter also ends with a set of few review questions to serve as revision of the material learned. A Textbook of Botany has been developed as a multi-volume work to meet the needs of undergraduate students. An effort has also been made to make it useful to honours and postgraduate students. First published more than thirty years ago, the current edition has been thoroughly updated and revised to cover the UGC Model Curriculum keeping in mind the subject break-up followed at leading universities. Volume I includes recent classification, structure, reproduction, phylogeny, evolution, economic importance and general discussions on important topics of these branches incorporating recent studies. Classification of Living Organisms into Major Groups. Part I—Eubacteria, Mycoplasmas, Archaebacteria and Viruses: Bacteria. Part II—Fungi: An Introduction to Fungi. Part III The Lichens: Lichens. Part IV—Elementary plant pathology: Elementary Plant Pathology: General Aspects. Chlamydomonas, Pandorina, Eudorina and Volvox. "The book is divided into two parts. Part I deals with PLANT ANATOMY covering all its topics beginning from roots to seeds and fruits. The text matter has been kept concise and lucid while considering almost every important example. The diagrams are simple but close to naturally. Topics such as Nodal Anatomy, Anatomy of Floral parts, Fruit wall and seed coat, Ecological Anatomy and Systematic Plant Anatomy will certainly be of larger interest. Part II deals with ECONOMIC BOTANY and offers exhaustive up-to-date literature enriched with comparative tables, on all aspects of the primary necessities of man viz. food, shelter and clothing. Economically important plants and plant byproducts such as dyes, tannins, oils, resins etc. have been dealt separately. 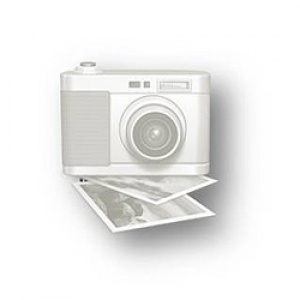 The colored photo plates will further augment the value of the book. The book will be fully suitable to students appearing for various universities and competitive examinations like IAS, PCS PMT etc. The volume will be considerably useful in the Middle-East and South-East Asian countries by virtue of its authoritative coverage. " Covers air refrigeration cycle, compound vapour compressions, multiple evaporator and compressor systems, vapour absorption refrigeration systems, expansion devices condensers, steam jet refrigeration, and air conditioning system.